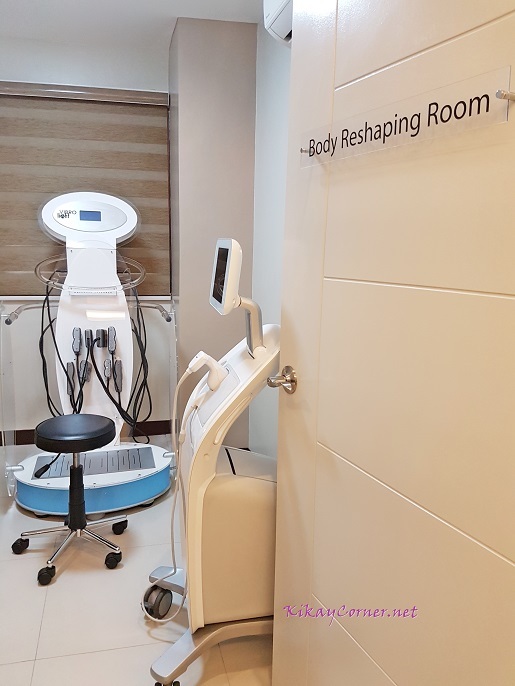 One of those that caught me eye is this body shaping room with the contraption that’s like a non-invasive liposuction – Liposonix. 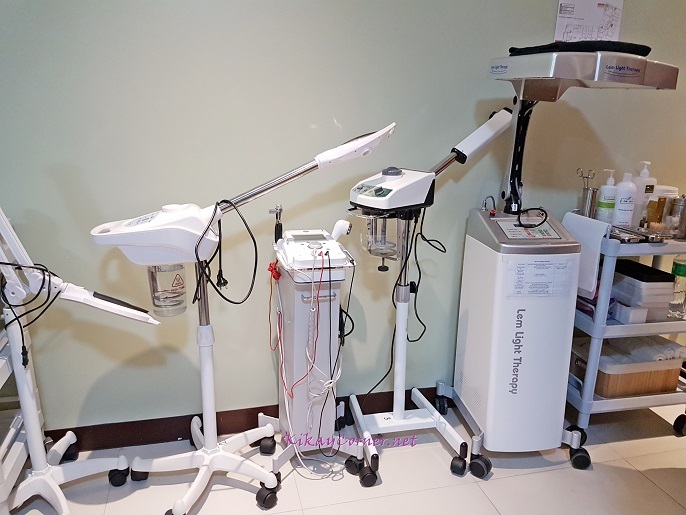 Oracle Beauty Clinic uses these different machines that are used for facials and peels. All of the beautifying machines used in Oracle are either made in Korea or Israel. Impressive too that all facials and peels are administered by no less than a registered nurse. No aesthetician or therapist, like your usual skin clinic. I love that more and more beauty clinics are getting into this trend. 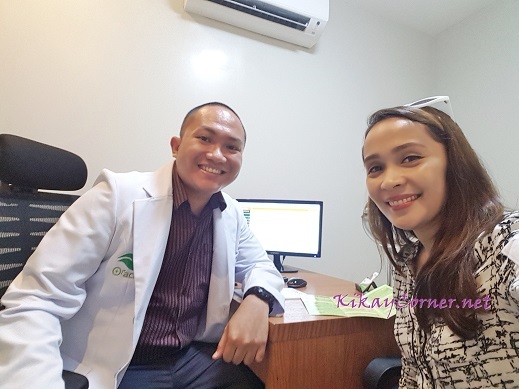 A beauty consult with Dr. Macky! nature’s moisturizer, a gel-like water holding molecule that acts as a space filler and cushioning agent in the body. Nourishes and hydrates the skin making it look young. Lubricates the joints and eye tissues helping prevent dry eyes. Helps regenerate healthy gums, supports, nourishes, and hydrates the deep layers of the scalp for healthy, lustrous hair. Promotes better nutrient absorption and helps regulate protein to promote wound healing. one of the most abundant groups of proteins in the human body and is the major component (80 percent) of connective tissue. Provides structural support throughout the body where it is found in skin, muscle, ligaments, tendons, cartilage and bones. It is important to remember that 70 percent of the skin is composed of collagen. a substance naturally produced by the body to protect us from the environmental toxins that enter it, damage its cells, and injure its systems. 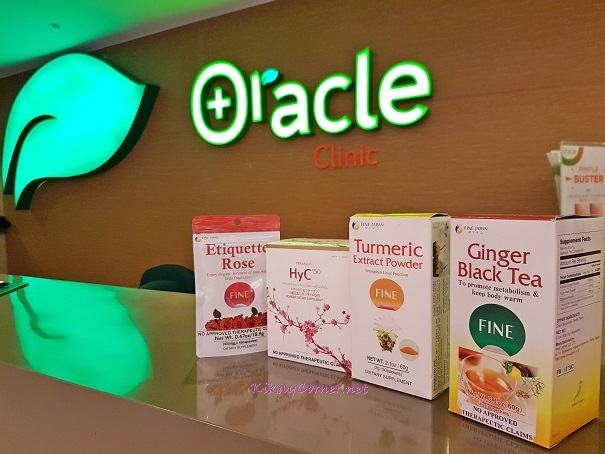 Slows down any weakening of vessel walls, nerve tissue, and organ linings brought about by physical harm, pollution, a poor diet, and the normal wear and tear that comes with age. 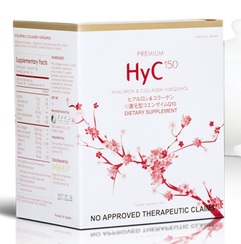 HyC150 has high collagen content (5,250 mg- as the lifting supplement) in nano form, a unique feature of the product that is easy to absorb by the body. HyC150 contains CoQ10 (ubiquinol, 10 mg) that addresses endocrine problems caused by aging. It boosts energy. HyC150 contains pearl coix powder ( 450 mg) which brightens, lightens the skin to make it luminous, radiant skin. A box of HyC150 containing 14 sachets retails for P1,700 and is available at selected Watsons stores nationwide and Lazada.com.ph.